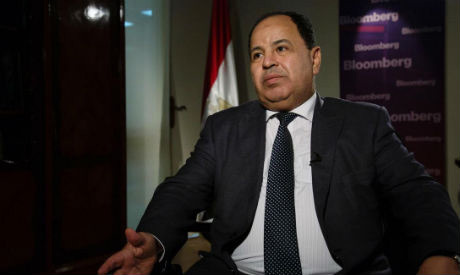 Foreign investors held $15.8 billion of Egyptian treasury bills and bonds at the end of February, the finance minister said on Wednesday, up from $13.1 billion in January. Foreign holdings of Egyptian treasuries stood at $23.1 billion at the end of March 2018 and $17.5 billion at the close of the last fiscal year which ended in June. They had fallen to $14 billion by the end of September after a turbulent summer for emerging markets. “That’s great news,” said Allen Sandeep, head of research at Naeem Brokerage, adding it signals foreign investors’ rebounding appetite for Egyptian debt. The average yield on 91-day treasury bills issued on Tuesday was 17.78 percent, according to the central bank’s website. The average yield for 182-day bills was 17.85 percent, for 273-day bills was 17.79 percent and for 364-day bills 17.72 percent, all issued on Tuesday. The average yield was 16.46 percent on three-year bonds and 16.99 percent on seven-year bonds issued on Tuesday. Deputy Finance Minister Ahmed Kouchouk has said the average yield for bonds issued between July and December was 18.5 percent, and 19.5 percent for treasury bills.